When playing comes with a “cash bash,” you know it’s time to get to the 500 Club Casino in Clovis—and that’s just one of the exciting promotions coming to the site in January and February. Players won’t want to miss the Saturday $6,500 Cash Bash with 12 cash winners every single week. Games include hourly Saturday drawings at 2 p.m. and 1 a.m. and hourly payouts as high as $1,000. Here’s how it works: Players in live games get tickets at the top of the hour. With one hour of minimum play, players earn a drawing ticket every day of the week with a qualifying hand of Hold’em or Omaha. Earn double tickets on Tuesday, Wednesday and Friday. Then, be present to win at any of 12 drawing times on Saturday. There is even more amazing gaming this winter at the 500 Club, thanks to the $1,000 First Place Guarantee Tournament held Tuesdays at 6:05 p.m. throughout January and February. Play no-limit Hold’em with a $100 buy in ($90 + $10). There is a $20 bounty for every player knocked out, and there’s no minimum number of players. An optional $10 SC gets players an extra 4,000 chips. One re-buy is allowed through the first four rounds: $30 for 10,000 chips. The top 50 players throughout 2018 will play for a $10,000 free roll in December. The 500 Club also offers tournaments, live games and promotions on a jam-packed weekly schedule, including $8/16 limit Omaha, Graveyard High Hand Payouts, High Hand Omaha and Hold’em Giveaways and pot limit Omaha (PLO). Check out 500clubcasino.com for more information on all the gaming excitement in upcoming months. The 500 Club Casino is home to an award-winning bar and grill featuring daily food and drink specials. Dine 24 hours a day, seven days a week, and select from house favorites like fire wings, surf & turf or Cajun sausage pasta. Taco Tuesday’s are a customer favorite—every Tuesday from 10 a.m. to 10 p.m. tacos are just $1 with a choice of three meats. There’s also another amazing menu packed with Asian specialties. Happy Hour is held daily from 6 to 10 a.m. and 3 to 7 p.m. On Sundays, Happy Hour is every hour of the day. 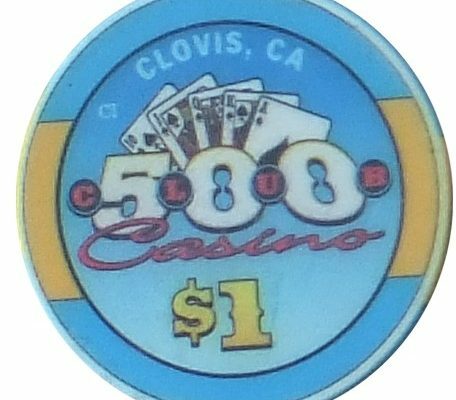 The 500 Club Casino is located at 771 W. Shaw Ave. in Clovis.